Foundries and the Birth of California: In February of 1848, Mexico and the United States signed a treaty which ended the Mexican War and yielded a vast portion of the Southwest, including present day California, to the United States. Several days earlier, January 24, 1848, gold had been discovered by James W. Marshall at the American River near Sacramento, and the ensuing gold rush hastened Californias admittance to the Union. California officially became the 31st state on September 9, 1850. The Golden States rich history has since been shaped by people of every ethnic background who traveled here seeking economic, social and educational opportunity. But the growth of California would not have been the same without a thriving and productive metal casting industry. California foundries manufactured the metal tools, products, and infrastructure that built our state. 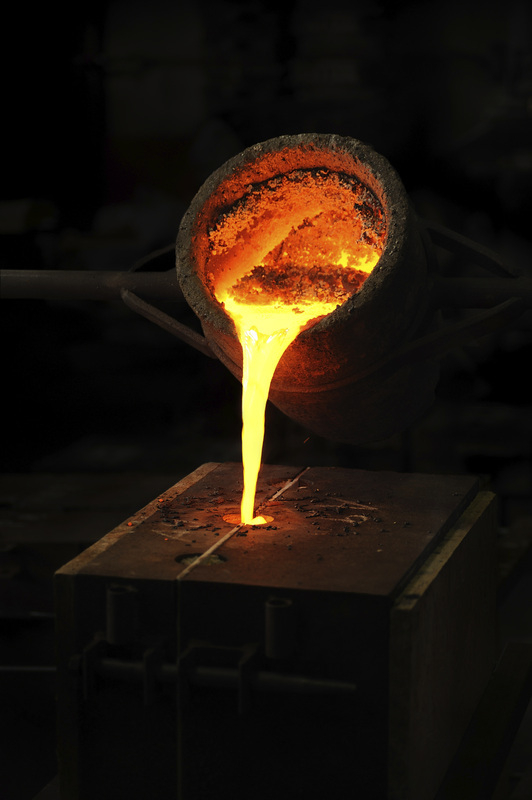 Foundry workers transformed metal by melting it and creating mining instruments, agriculture equipment to move water, and defense items to defend our country. When California grew, there were foundries to support this growth. Foundries are one of California's oldest industries and are still a critical part of our prosperous state. Learn more about the state's foundry industry and the California Foundry History Institute (CFHI) by exploring this site, viewing our archives, and visiting the CFHI museum.